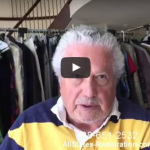 AllStates Restoration is a full service restoration company located in Central New Jersey. We specialize in Fire Damage Restoration and help home and business owners of all sizes recover from unexpected fire and water disasters, from basement flooding in your home to large commercial property fires, our team is on call 24/7 and ready to respond. 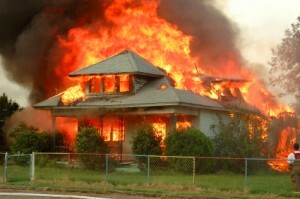 When it comes to fire damage, one thing is absolutely certain: no two scenarios are alike. That’s why we offer immediate response and Complete reconstruction solution, to all of our residential and commercial customers! We maintain large inventories of emergency restoration equipment. Our highly trained staff is prepared to handle emergencies to help restore and safeguard your property. 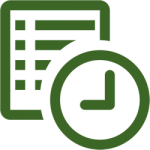 Our years of experience working with insurance companies and handling insurance claims will allow us to make the insurance claim process simple and easy for you, we can deal directly with your insurance company from start to finish. We are Proud member of BBB, Ethical Services and IICRC. We have experience with NJ fire damage cleanup of commercial and residential cleaning and restoration projects throughout New York and New Jersey markets. Our rapid response division is on call 24-7 to provide assistance with unexpected fire and water damage cleanup, as well as soot and smoke clean up, smoke odor removal, dry-cleaning restoration and we have worked extensively in disaster relief for NY, NJ, PA and CT area. We’ll help you get your damage restore and clean. All you have to do is Make The Appointment! In addition to providing property damage restoration, we routinely work to train property managers, insurance agents and home owners on property safety and emergency safety response. AllStates Restoration work in conjunction with over one hundred major insurance carriers and will assist in the settlement until the completion of the project. We service our customers from start to finish for all your insurance repair needs, helping to restore peace of mind during these stressful times. Our content division will remove your property, inventory and clean all personal or business personal property damaged in a fire. Disaster recovery is our specialty, whether your property has been damaged by a fire, flood or other catastrophes we have the equipment and resources to respond quickly to help minimize additional structural damages. Our team’s ability to respond quickly to large scale storm damage disasters, working with property managers to pre-plan a repair and recovery strategy in the event of a hurricane or large tropical storm is another important resource our operations team offers to help minimize damages from storms. Cleaning up from a disaster can be stressful and time consuming. You can be assured our IICRC certified technicians will work to quickly clean up water damage, flooding, smoke, mold and fire damaged properties to help return them back to normal. Since AllStates Restoration & Cleaning Services, we’ve always kept our focus on customer satisfaction and prompt service. Whether your home is in New Jersey or New York our property restoration teams are on standby 24-7, so remember in the wake of a disaster Call 888.651-2532. 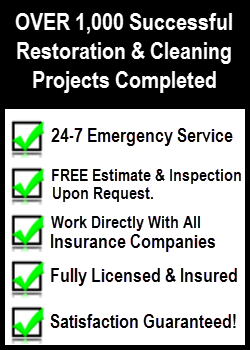 AllStates Restoration team, Your local Fire Damage Restoration in NJ and emergency property restoration services, 60 minute response time to the following counties located in Monmouth, Middlesex, Ocean, Mercer and Somerset Counties New Jersey (NJ) as well as NYC metro and greater New York area that we serve.